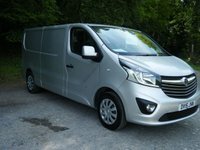 At Belgrave Commercials Ltd we are renowned for providing premium used vans at outstanding prices. Many of the customers who have bought vans from us in the past return to buy their next used vehicle as our dealership service is second to none. Our team are experienced, trustworthy and professional - our aim is to offer you the very best value for money on used vans in south-west. 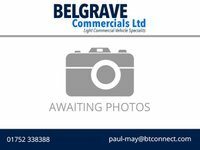 Welcome to Belgrave Commercials Ltd, we are a leading used van dealer in the south-west, we offer a wide range of used vehicles and all at competitive prices. 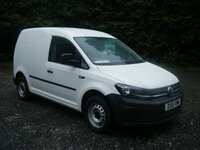 If you are looking for a second hand van in the south-west then look no further than Belgrave Commercials Ltd. Customer service is very important to us and we pride ourselves on keeping our customers happy by offering a helpful friendly service and answering all of your questions with a smile. If you have any questions relating to our vans and services, call us today to find out how we can help you find your next second hand van. We always aim to exceed customer expectations, offering a wide choice of used vans available around the south-west area, all at competitive prices. Our stock changes on a daily basis, so if you can't see what you are looking for on our website then please contact us. We don't want you to avoid missing out on our great deals. You can contact us by phone, Steve 07539698672 email us or by simply dropping into our Plymouth showroom. 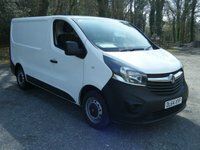 View our latest selection of used vans for sale in Plymouth here. Click here to get in touch with Belgrave Commercials Ltd - quality used van retailer of Plymouth.